Exhibition Object in the Field by Sophy Rickett at the Grimaldi Gallery, London. David Franchi – Thursday, 13th March 2014. The exhibition “Objects in the Field” displays the latest works by Sophy Rickett, at the Camilla Grimaldi Gallery in London. 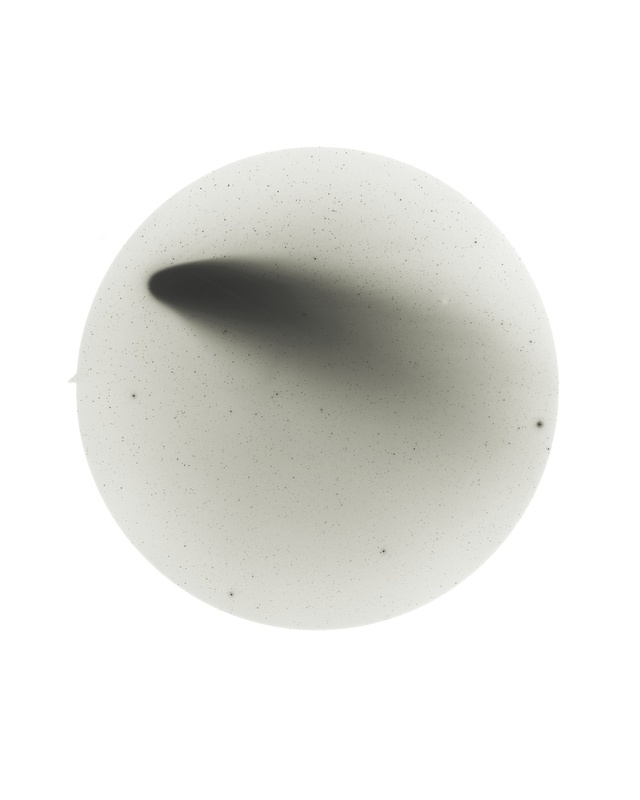 The project have been conceived and realised during the period Rickett spent as Artist Associate at the Institute of Astronomy, University of Cambridge where the artist met with Dr. Roderick Willstrop, a retired astronomer physicist, associated with the Institute of Astronomy since 1965. The Camilla Grimaldi Gallery exhibition consists of several series of photographs, a monitor based video and an essay (2000 words) published in a supporting booklet. The name of “Objects in the Field” comes from the lexicon used by astronomers and astrophysicists that refers to stars as ‘objects’ and to the sky as ‘the field’. Rickett is interested in the process of ageing and the project is an analysis of the impermanency of meaning and interpretation, through their redefinition. The project tests the border between collaboration and appropriation, and explores ways of blurring the boundaries between them. A true-life report of Rickett’s encounter with Dr Willstrop, the essay is inflected with more subjective impressions and memories from her childhood connected to optics, seeing, and the transitory nature of the encounter. However, this is a very technical exhibition, where the tech part is so important it might overwhelm the artistic side. “Objects in the Field” includes several works from the Observations series, where Rickett has appropriated a number of Dr Willstrop’s abandoned negatives, reprinting them by hand using the analogue process and altering them through her own subjective and aesthetic decisions. The resulting works subvert the images’ original scientific purpose and at the same time act as a retrieval, or ‘rescue’ of the archive, in an interesting and stimulating confrontation of arts and science. Photography is a medium that allow working on the boundaries between art and science, while the camera has high technical properties the artist eye is using it for artistic purposes. “Objects in the Field” is an exhibition focused on the curiosity of Sophy Rickett about exploring how our relationship to space is defined and analysed by light and darkness. Also the Camilla Grimaldi Gallery exhibition is made of contrasts. Firstly, by working on the legacy of some outdated astrophysical research made in the 1980s, elaborated and updated with new imagines using nowadays concepts. Then “Objects in the Field” is a good juxtaposition of minimalist imagines and the very immensity of the universe. But more important is the comparison with the past of Sophy Rickett. She started her carrier with shocking images of herself making a pee on a bridge. “Objects in the Field”, instead, is mirroring a total different moment, which can be defined minimalist: there are little tiny light spots on a vast field an enclosed in small rounded images. It seems Rickett personal life is changed and represented in her works such as the unbearable heaviness of being the artist cannot tolerate anymore. Therefore, looking for a shelter in a place Rickett can control, a sort of permanent gravity centre, losing some appeal of the first time. “Objects in the Field” is an expanded version of the exhibition that was first shown at Kettle’s Yard, Cambridge in 2013. In June 2014, it tours to the Museum of the History of Science, Oxford, for a three-month run. Two of the works from the Observations series will be on show at the Discoveries exhibition, co-curated by Martin Caiger-Smith, at Two Temple Place, London from 31st January – 27th April 2014. “Objects in the Field” is supported by the Institute of Astronomy, Cambridge. The Artist Associateship programme at the Institute of Astronomy is conceived and organised by Barry Phipps. The exhibition “Objects in the Field” is ongoing until the 22nd March 2014, at the Camilla Grimaldi Gallery, Mayfair, London, W1S 3AN. 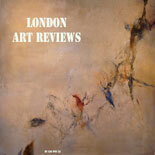 This entry was posted on March 13, 2014 by London Art Reviews in Private Galleries, Reviews and tagged astronomy, cambridge, camilla grimaldi gallery, Photography, sophy rickett.